Individual pies filled with earthy kale and mushrooms. On Fridays, fried fish alongside crisp nubs of fries, Meyer-lemon tartar sauce to spare. These dishes, re-creations of homey British food from Art Jackson (formerly the chef of Bijan’s Bistro) and his wife, Chelsea Kalberloh Jackson, are the bread-and-butter of this small Bridgeport shop. But the taste you may remember most may be a stray piece of arugula. Because like so much of the produce here, it was grown by the owners at their small urban plots called Pleasant Farms. Bus: 8, 35 , 62. I came here before going to a Movies in the Park in Bridgeport. Got myself a delicious savory pie, some potatoes, and stopped by next door at Maria's Bar for some drinks. The pie was delicious and filling, the carrots in it were cooked to perfection. Sad to see this is closed, hope they find some new way to sell their delicious pies! When in Bridgeport, a visit to Pleasant House Bakery is almost a requirement. 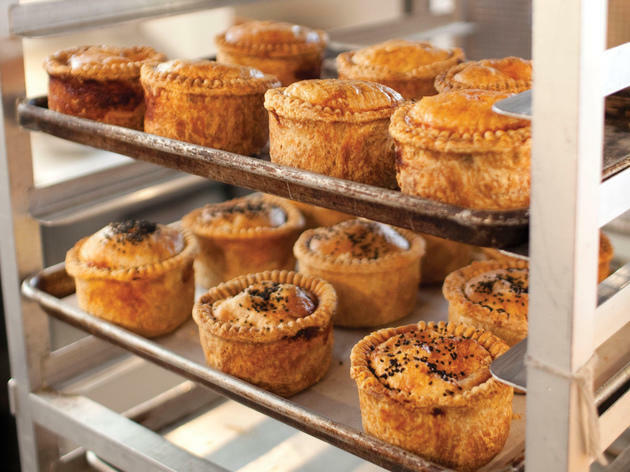 Located directly next to Maria's Community Bar, the small restaurant serves up creative pot pies that are the prefect precursor to a night of drinking. You can even have them delivered next door if you're feeling really lazy—that's service! Pleasant House Bakery is just as the name implies—pleasant. 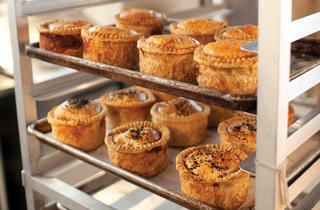 Find perfectly baked pot pies, fried fish and more great British food at this South Side spot.